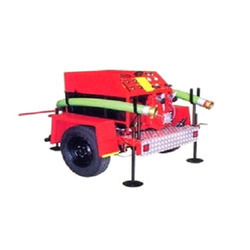 We are an eminent firm affianced in offering an extensive range of Trailer Fire Pump. - 1800 Lpm G.M. pump at 7 Kg/cm2. Owing to our principled business strategies and understanding of this business arena, we are immensely betrothed in providing Trailer Mounted Line Pump Machine Rental Service. These services are credited due to their timely execution and cost effectiveness. Moreover, these are provided beneath the supervision of trained personnel. So as to accomplish high level of customer trust, we are keenly betrothed in offering a broad consignment of Concrete Pump. 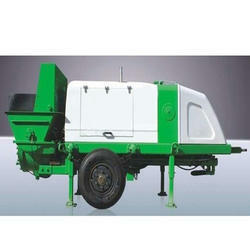 Product description: We are dealing in Used Volt 15 E Concrete Trailer Pump. These pumps are used where open water storage of water, which is available and the fixed systems are not present in those areas. These pumps will be called as auxiliary Mobile fire pumps. - Trailer Mounted: can be towed by any vehicle. Single stage centrifugal pump is directly coupled with a suitable engine and mounted on a trailer for surface transportation. The Pump is equipped with Firefly’s reciprocating priming system “Primatic for fast & effective priming from deep lifts. The engine is air cooled as well as water cooled for better performance.